Simplicity, comfort and quality are the bywords for the Quernstone’s unique range of luxury knitwear and clothing, all designed and hand made in Orkney. Based in the picturesque and historic town of Stromness since 1984, the Quernstone has built up a loyal following with customers looking for stylish, yet easy to wear garments in a broad choice of colours. 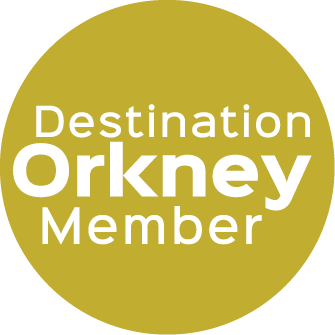 Made in Orkney by a highly skilled group of women, using only the finest quality yarns, the Quernstone’s distinctive signature knitwear is supplied to outlets throughout the UK, in addition to being sold online through the company’s own website. It’s also available within the Quernstone’s dedicated Victoria Street knitwear shop – housed in a 1920s ice-cream parlour - along with a large selection of other clothing, accessories and yarns. Across the street you’ll find the Quernstone’s ever-popular gift shop, which stocks a wonderfully eclectic variety of items – everything from cards and stationery, to jewellery, interior furnishings, ceramics and toys. Surprises and quirkiness are guaranteed here, reflecting the Quernstone’s innovative approach to the retail experience and desire to keep things fresh and interesting for all its customers.